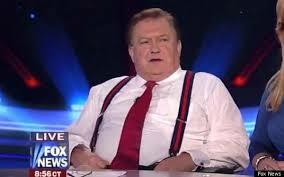 Fox News analyst Bob Beckel defended his comments about temporarily prohibiting Muslim students from entering the country Tuesday saying it wasn’t a position he takes lightly. “My point is not to suggest that there’s a cell of 70,000 people here. What I’m suggesting is that those students coming from those countries where [they] harbor resentment against the United States, if we could save one Boston marathon event or one child’s life by saying we’re going to take a two-year hiatus from countries that we know do not like us and know from whence terrorism is coming,” Beckel told Fox News’ Megyn Kelly on her show. On Monday evening’s edition of “The Five,” which Beckel co-hosts, he suggested “cutting off” Muslim students from coming into this country for some time, in response to the Boston bombing. “I think we really have to consider, that given the fact so many people hate us, we’re going to have to cut off Muslim students from coming to this country for some period of time so that we can at least absorb what we got, look at what we’ve got and decide whether some of the people here should be sent back home or sent to prison,” Beckel said Monday.